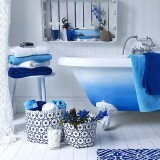 A little ‘me time’ becomes all the more essential when co-habiting and continues throughout marriage. 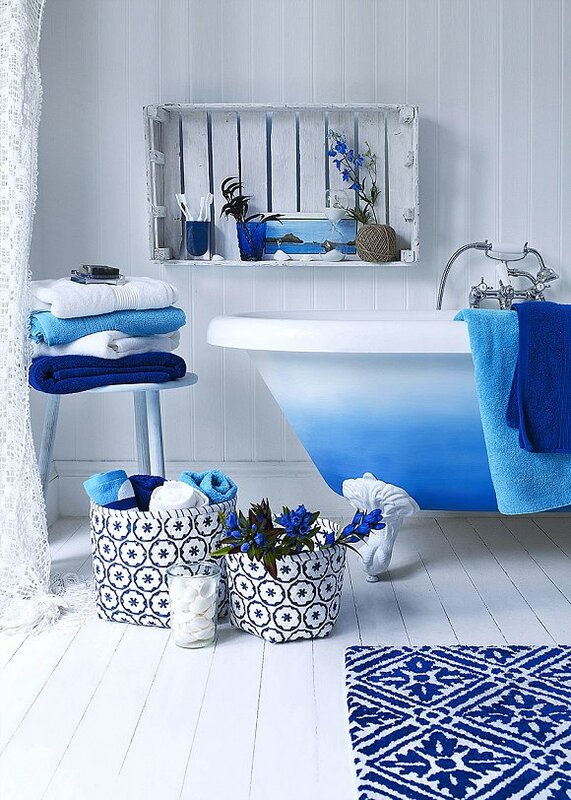 For us ladies our bathrooms are the perfect place to escape to for some low-key pampering when the Sky Sports becomes just a little too much. 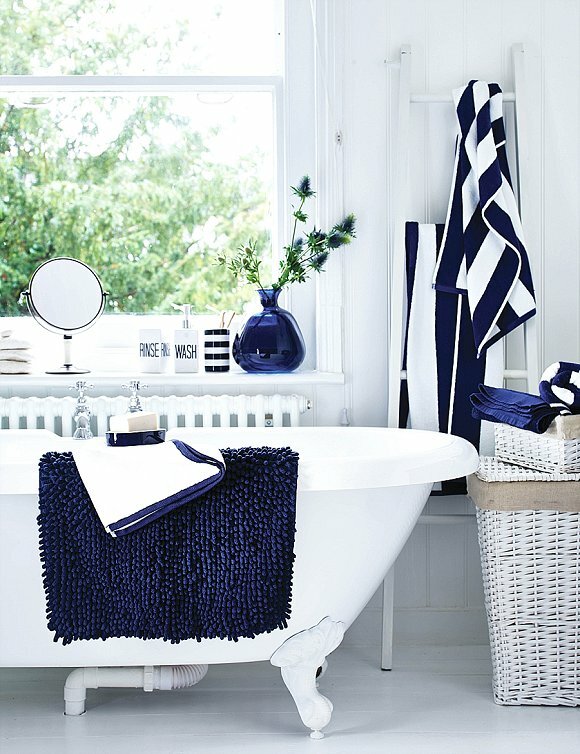 Whether it’s to slap on a little fake tan, apply a face mask or totally indulge in a tub full of bubbles with a glass of wine to hand, bathrooms are the haven of the home. 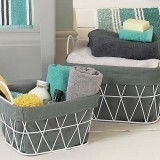 For me that makes anything that will make your bathroom all the more blissful an ideal item for the wedding gift list. 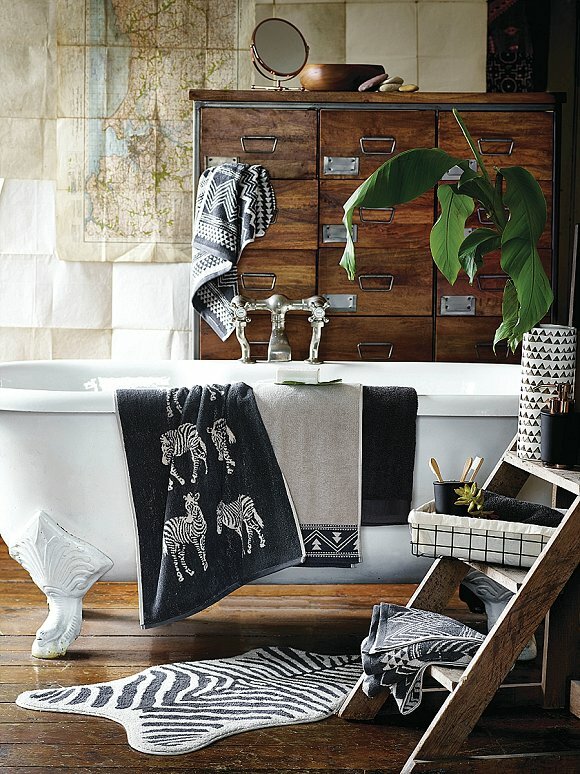 From luxurious Egyptian cotton towels and top-notch toiletries to opulent accessories, there are plenty of options to choose from. 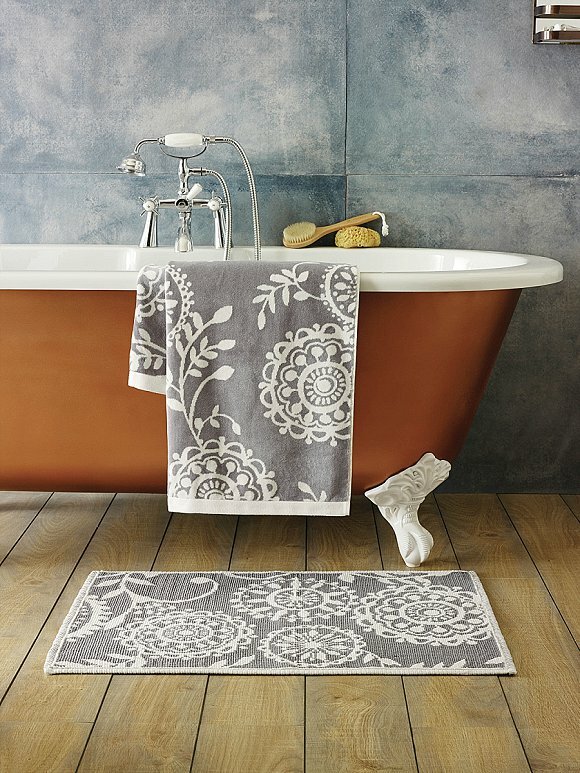 When setting up home together it could be that you made do with the odd towels you and your partner had between you, so a stylish bundle of fluffy bath sheets and hand towels is a perfect pressie – along with a matching bath mat. 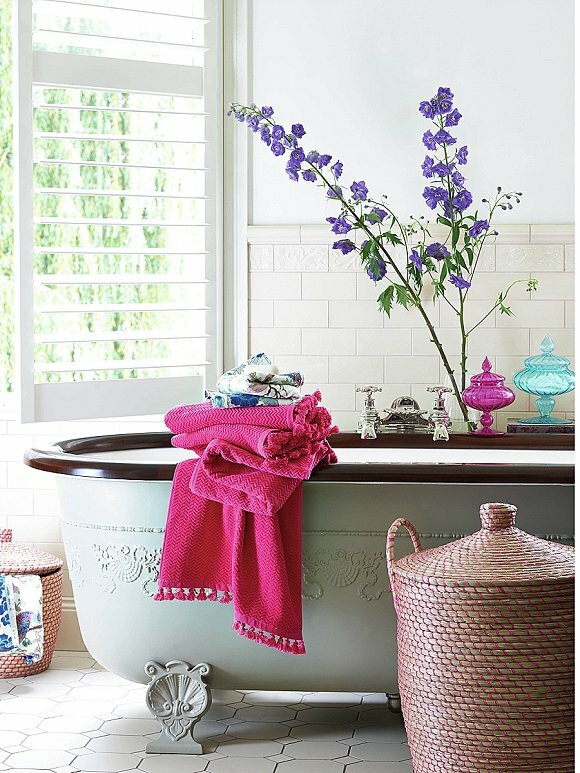 Scented candles can be decorative as well as sensual for when you choose to invite your hubby to share a romantic bubble bath with you. 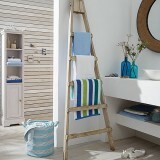 Oh and of course you’ll need some posh hotel-style his and hers robes for when you emerge. 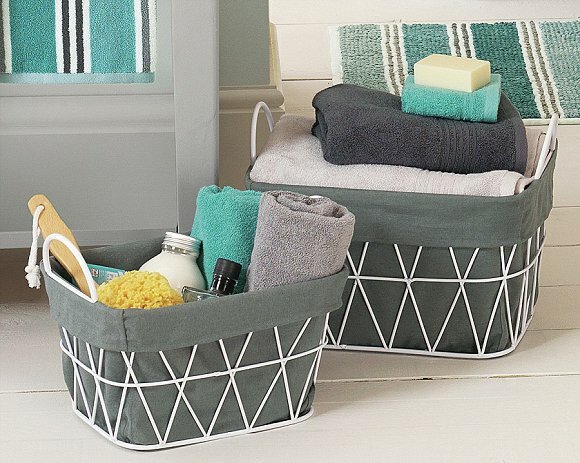 Though not quite as exciting attractive storage boxes and wicker clothes baskets are great for keeping the bathroom neat and tidy, so you can unwind without explosions of toiletries or dirty clothes playing on your mind. 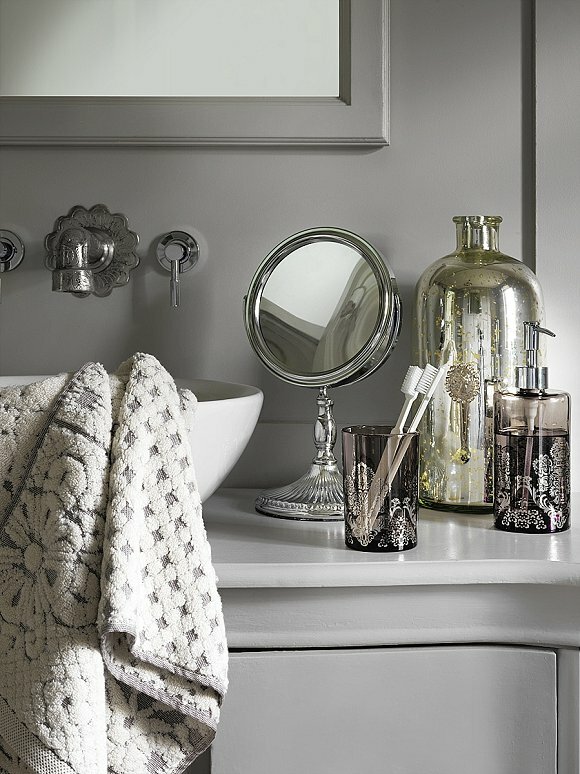 Decorative items such as mirrors, vases, art work and soap dispensers can also help set the scene and can add the perfect finishing touches to an area of the home that you’ve been longing to complete to a Vogue Living standard. 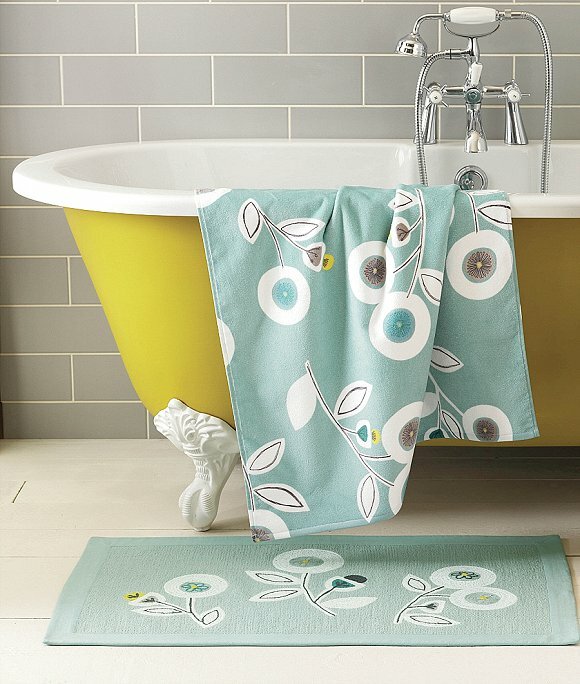 For feminine style bathrooms I particularly like Next’s lilac and green floral designs in towels, bathmats and shower curtains (see gallery), as well as Debenham’s Butterfly Home by Matthew Williamson range, which includes cerise pink towels and jewel-tone glass vases. 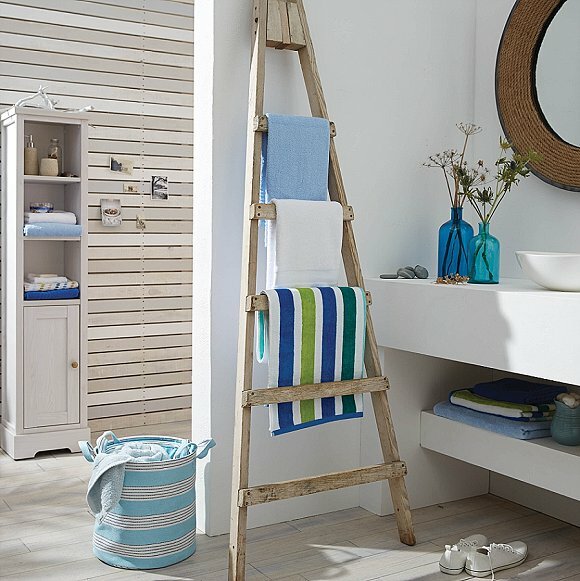 Meanwhile for something more unisex friendly there are plenty of crisp blue and white offerings, perfect for those who like to bring a by-the-beach feel to their bathroom, plus grey and white designs for those in search of clean elegance.